The proven leader in shock attenuation padding. Made from 100% recycled, post industrial foam and is 100% recyclable. 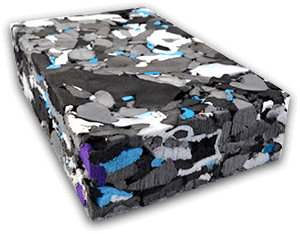 Polygreen Foam LLC, based in Coldwater Michigan, is an environmentally focused company that recycles post-industrial, cross-linked and closed cell polyethylene foam waste into useable cost-effective foam products. These products can be used in literally 100's of applications from drainage systems to general construction applications to animal husbandry. The company is committed to waste reduction, a cleaner environment, and making products that enhance our lives.